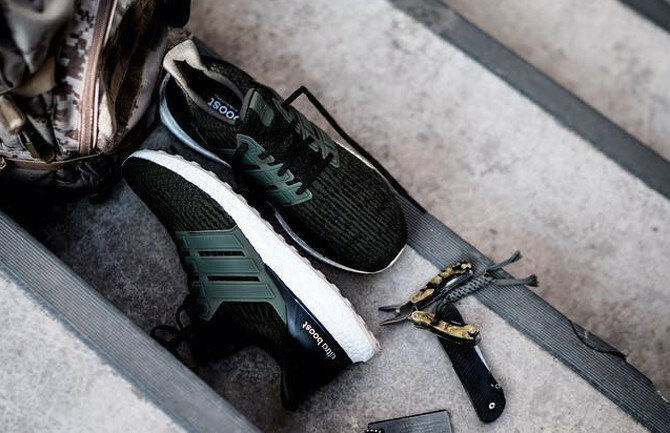 Here's another preview of the Ultra Boost 3.0. Today is a big day for the Ultra Boost and its spinoff styles, with Adidas introducing reflective versions of the first Ultra Boost, the Uncaged Ultra Boost, and the AdiZero Primeknit. Once that pack is in the rearview, what do fans of the shoe have to look forward to next? The Adidas Ultra Boost 3.0, a colloquially named model that again rearranges the Primeknit on the upper of the shoe. The third-gen take on the sneaker will include this olive/black look, for which there is no release date yet. 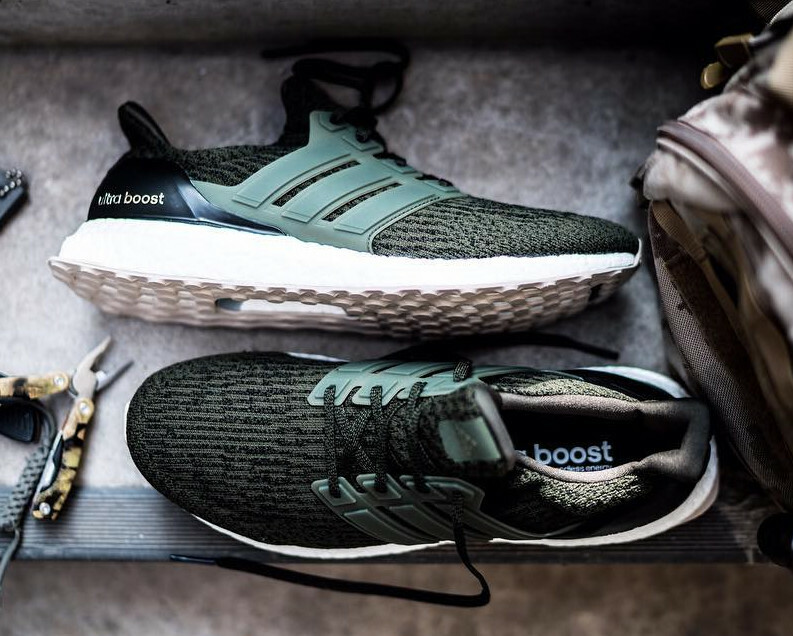 The Adidas Ultra Boost 3.0 is the spiritual successor to the second wave "Gradient" pairs that dominated 2016's releases for the shoe.